Christmas is less than 40 days away and that signals one thing – it’s time to do our gift shopping! Now, shopping for gifts is a tricky thing! It’s easy enough when you know the person you’re giving the gift to very well but for colleagues and clients, it can get a bit difficult. Often, you want something generic in the sense that it’s not gender-specific yet at the same time, you still want it to be something nice and valuable. 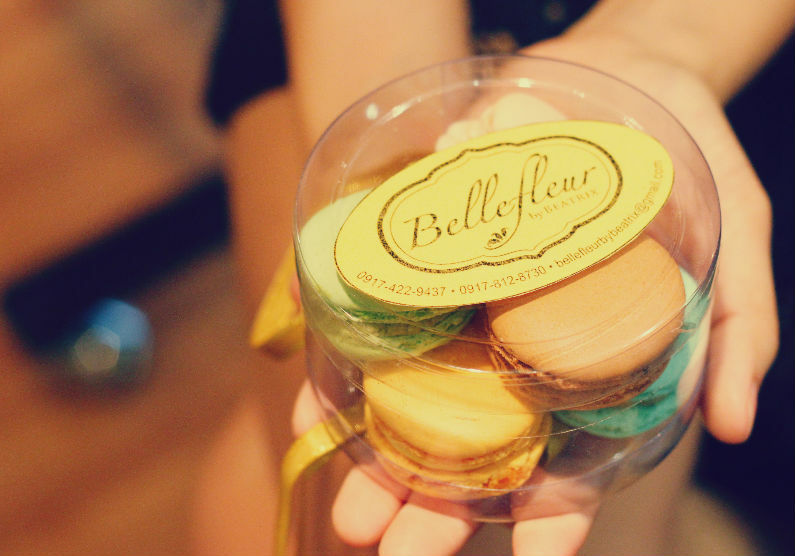 As I was pondering this, my friend Kim from Bellefleur by Beatrix sent me a tub of French macarons to try. It was an answered prayer because immediately, I thought that it would make the perfect gift! I was lucky enough to be one of the testers when Bea and Kim were still finalizing their recipe. 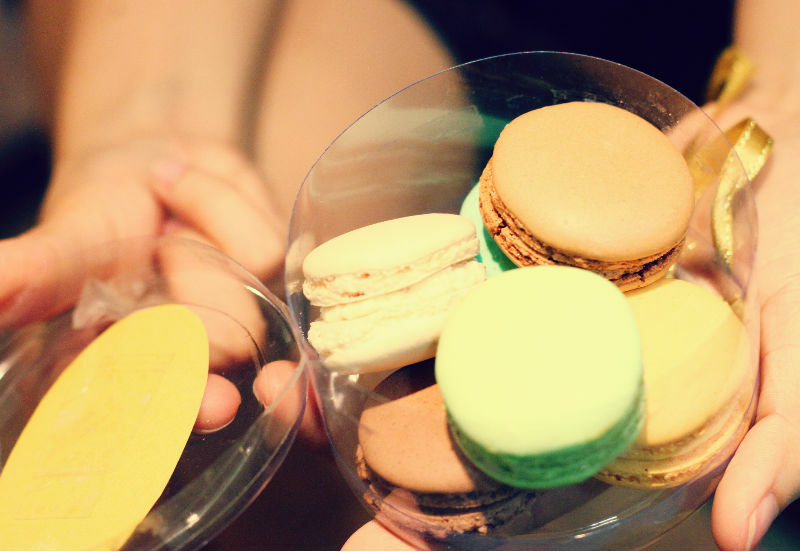 Kim would often bring tons of macarons to the office for us to try. My favorites are their Lemon and Earl Grey flavors. 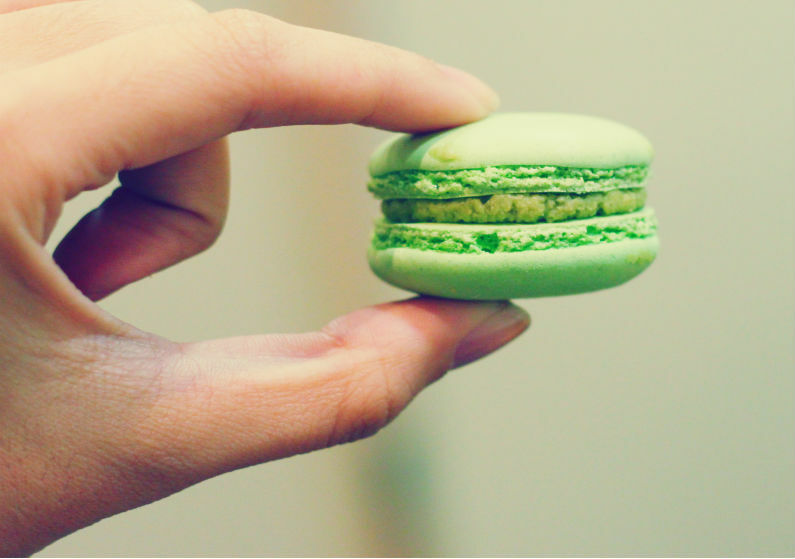 If there was one word to use to describe how their macarons taste, it would be decadent because they don’t scrimp on the ingredients. Every bite is flavorful, chewy, and sweet. More recently, they released a new flavor. Can you guess what it is? Some of my friends at the office have already bought some to give as gifts too! If you’re interested to do the same, please get in touch with them at their Facebook page or text/call them at 0917-4229437. Oh, they also sell cupcakes and brownies that are also really good!!! Photos by Rhea Bue and Bellefleur. Oooh Earl Grey flavor sounds intriguing! Will check them out on FB. lol yeah doooo!!!! 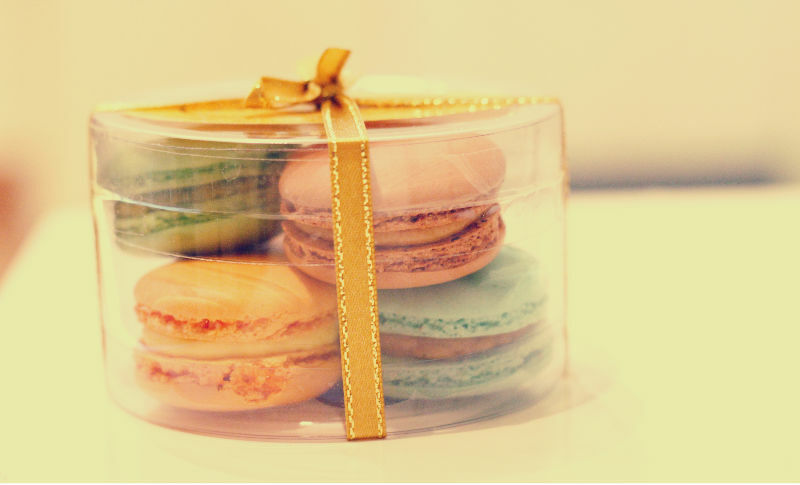 Their macaroons are seriously good! Wow those are yummy little snacks and I bet too tasty…Can I have some? 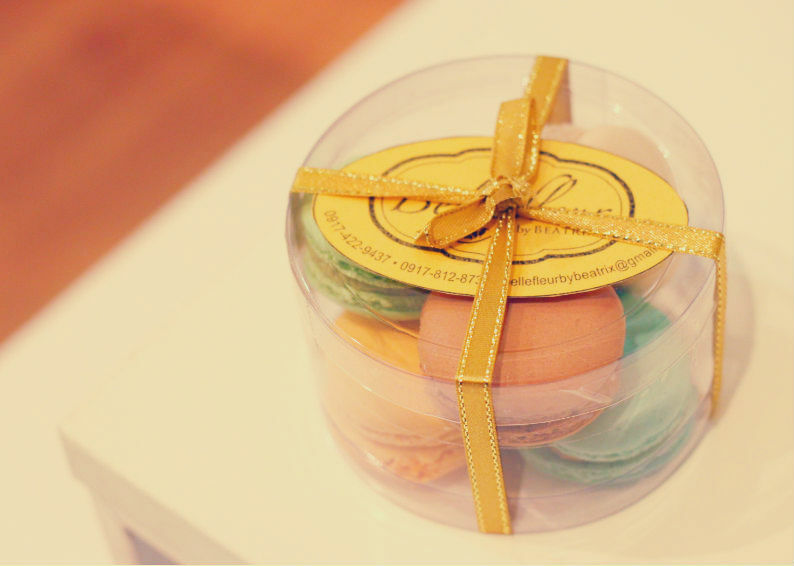 I’ve never tasted real macarons before because no store in my city sells these. 😦 I should have gotten a box when I was in the metro last week.